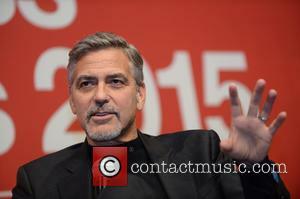 George Clooney has launched a campaign to feed the homeless at Christmas by donating the first £5. The appeal aims to feed thousands of homeless people in Scotland on Christmas Day and throughout 2016. The Hollywood actor, 54, was filmed donating £5 and urged other people to do the same. He filmed the appeal when he visited the shop last month, meeting fans and joking with staff members. People can also contribute towards a convoy of vans which are leaving on Boxing Day with food and winter essentials to refugee camps in Calais, the Serbia/Croatia border and Lesbos. 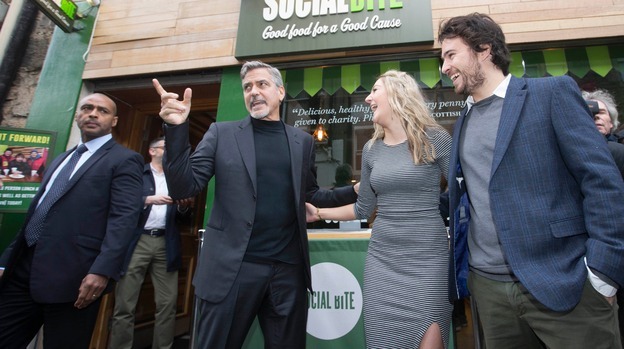 Last year Social Bite, the not-for-profit Scottish sandwich shop chain, received over 36,000 donations, raising more than £180,000. This allowed them to provide free meals for homeless people all-year round in five of their shops. Social Bite’s co-founder Josh Littlejohn said: "We still have unacceptable levels of homelessness and poverty here on our doorstep and we’re grateful for the public’s support in helping us to do our bit, but we can’t forget the horrendous conditions faced by millions of innocent men, women and children feeling conflict." Trespass clothing brand have agreed to match each donation. Ooooh! Finally a sighting of George! Yes, from last month, but still, a sighting. Love George, especially his charitable ways. a larger amount ? Was it £5000 ? I remember an amount of $ 1,000 that was mentioned. Bosses At The Scottish Charity Cafe Backed By George Clooney Have Thanked The Star For Helping Them Raise More Than $345,000 (£230,000) Over The Holidays. 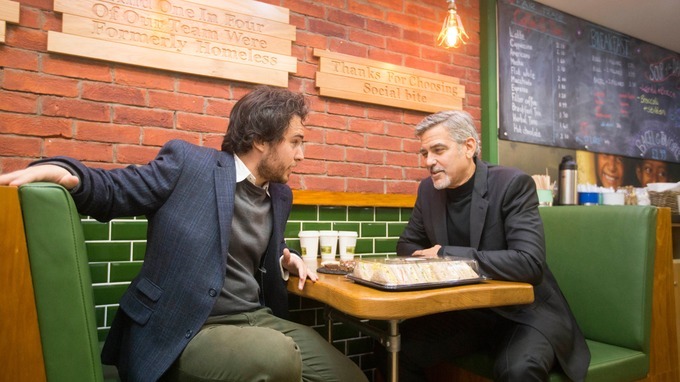 George launched a Christmas appeal for the Social Bite, a chain of sandwich shops which provides meals for the homeless and employment to Scots who have previously slept on the streets, after visiting the Edinburgh branch in November (15). The actor filmed a video asking Brits to donate $8 (£5) to help provide Christmas dinners to the needy, saying, "I'm giving five pounds to pay it forward at Social Bite and I hope you do too." The Hollywood superstar's plea gave a big boost to the organisation's fundraising efforts over the holidays, which generated more than $345,000 (£230,000) to help the homeless in Scotland and to send food and clothing to Middle Eastern refugees in camps in France, Serbia and Greece. Around 1,000 hot dinners were given out to the homeless at the chain's five shops over the festive period, and the money raised will also help provide free meals for those in need throughout the year (16). Social Bite co-founder Josh Littlejohn has thanked all those who helped with the appeal, including their most famous customer. 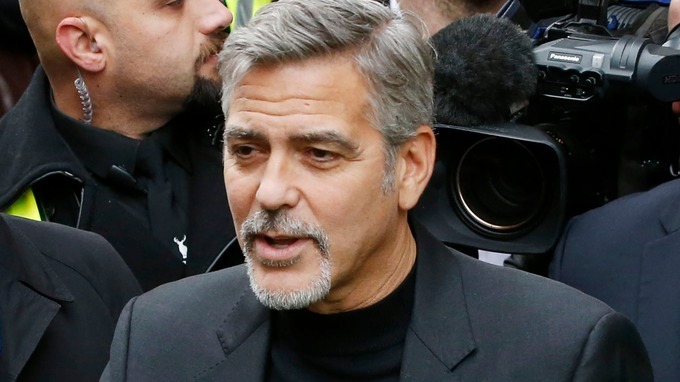 "We want to thank everyone who generously helped us - whether that's George Clooney who launched the campaign, (clothing company) Trespass who donated quality winter supplies or the members of the public who put their fiver into the pot to support our campaign," he tells WENN.